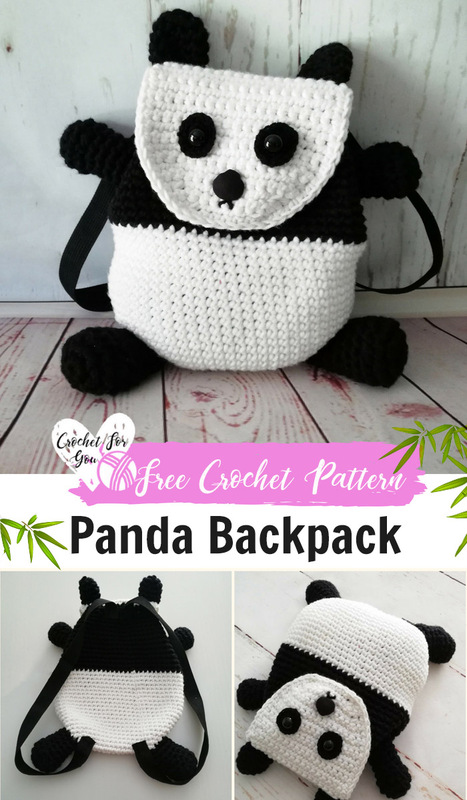 Crochet Panda Backpack Pattern by Crochet For You. 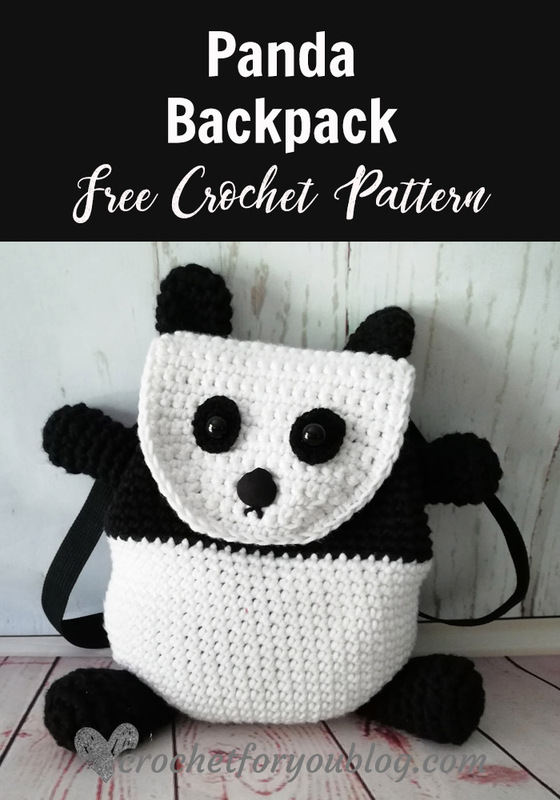 This summer I’m in love crocheting backpack! 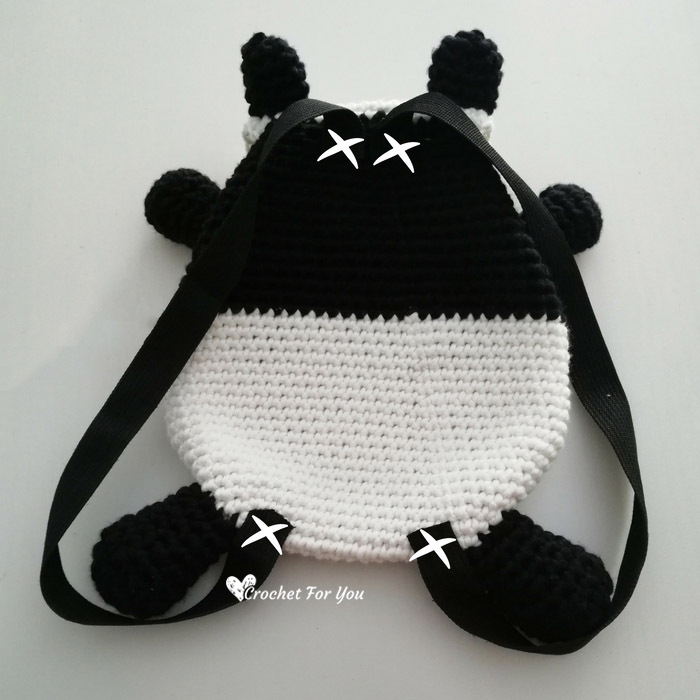 Since my first backpack, Bumble Bee Backpack Pattern is still very popular, I tried to make another backpack for kids. As you can see, the final result amazingly adorable! 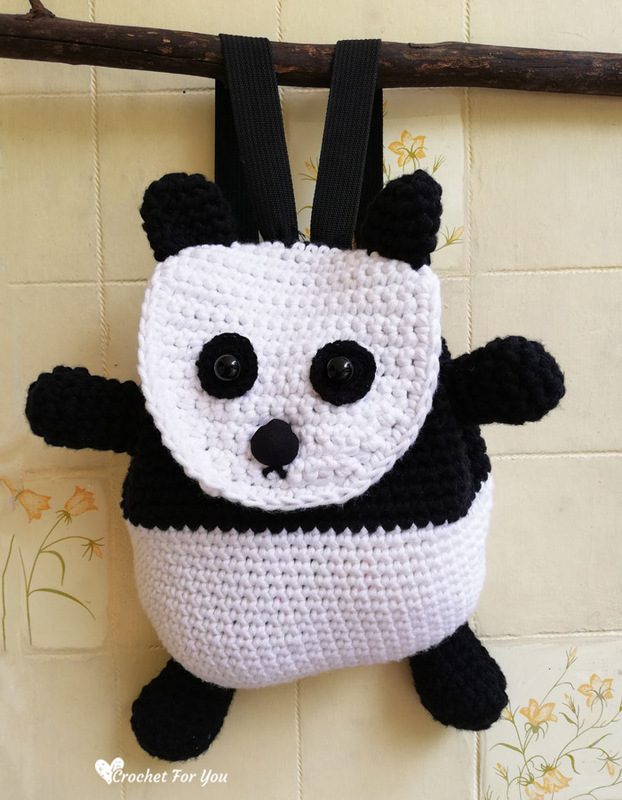 This time I made a cute looking panda backpack. 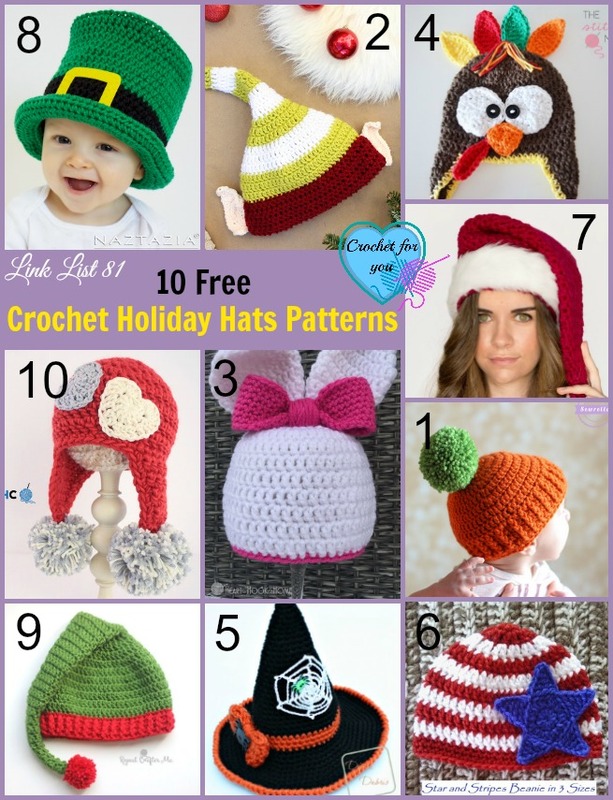 😀 It would be a great gift for kids as a holiday or birthday gift. 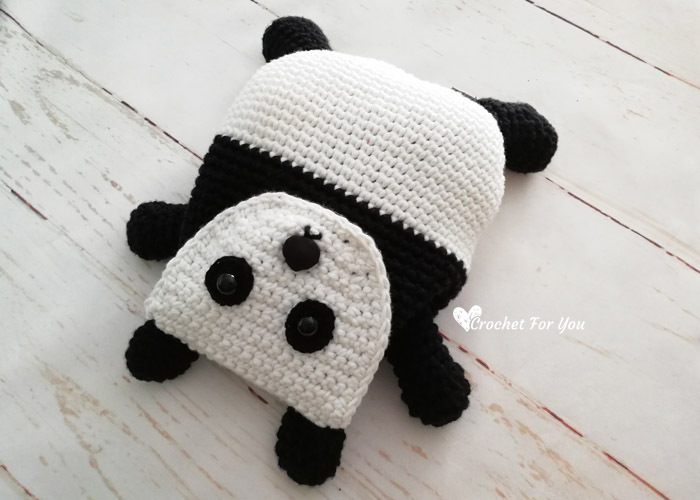 This panda backpack free pattern is a cute and little backpack for kids to keep their treasure. It has little hands and legs. Eyes, ears, and a button as a nose on the flap! 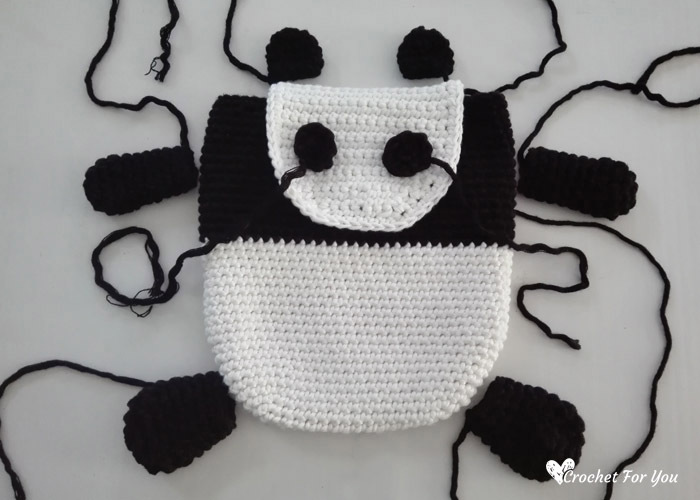 It is so easy to crochet as a bumble bee backpack I made and shared last April. 😀 Click here if you didn’t see it yet. 9″ height without ears x 8.75″″ wide without hands and legs. 1 triangle shaped button for the nose. 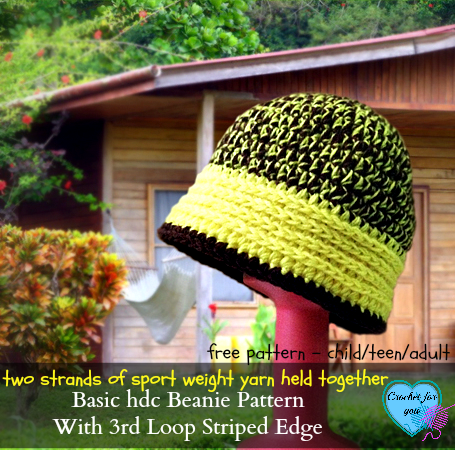 sc2tog =[Insert hook in next st and draw up a loop] 2 times, yarn over, pull back through all 3 loops on hook at once. Round 12 to 20: repeat round 11. Round 36: ch 1, sc in first st and each st around, sl st to the first st. (60 sts) Attach stitch markers on the 8th st and 51st st.
Row 3 to 13: repeat row 2. Edging: Right side facing, start at row 1 of the flap. 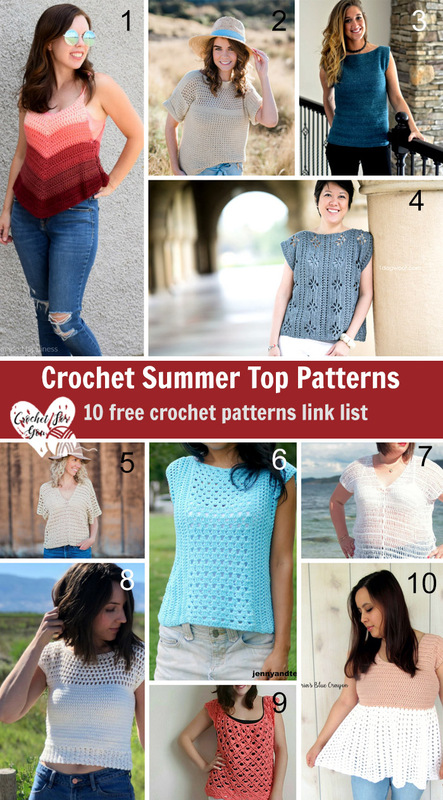 Crochet sc around the edge of the flap. 2 sc in random stitch on curve side to make a smooth edge. Fasten off weave the end. With (C1) make a magic ring. Rounds 4 and 5: repeat round 3. Leaving 10 – 12” long yarn tail cut the yarn and fasten off. Rounds 4 to 10: repeat round 3. Leaving 10 – 12” long yarn tail cut the yarn and fasten off. Round 8 to 9: repeat round 7. Leaving 10 – 12” long yarn tail cut the yarn and fasten off. RS facing, place eye patches between rows 9 and 14 on the flap and sew. Attach safety eyes to the eye patches. And stitch mouth below the buttonhole. 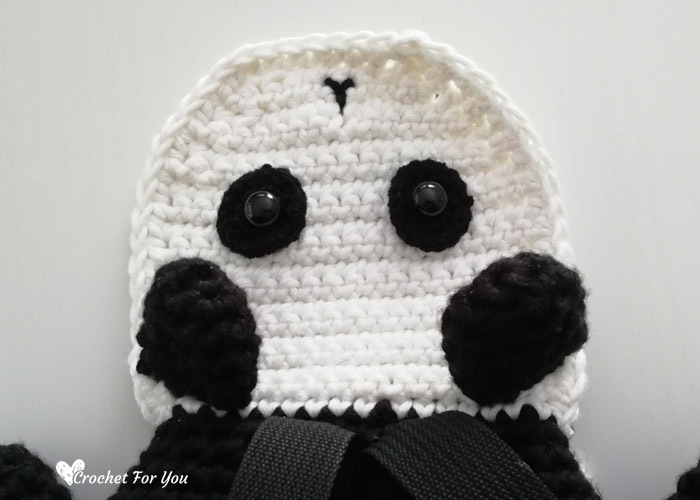 Please note that those eyepatches on the image below were not used to my finished backpack. 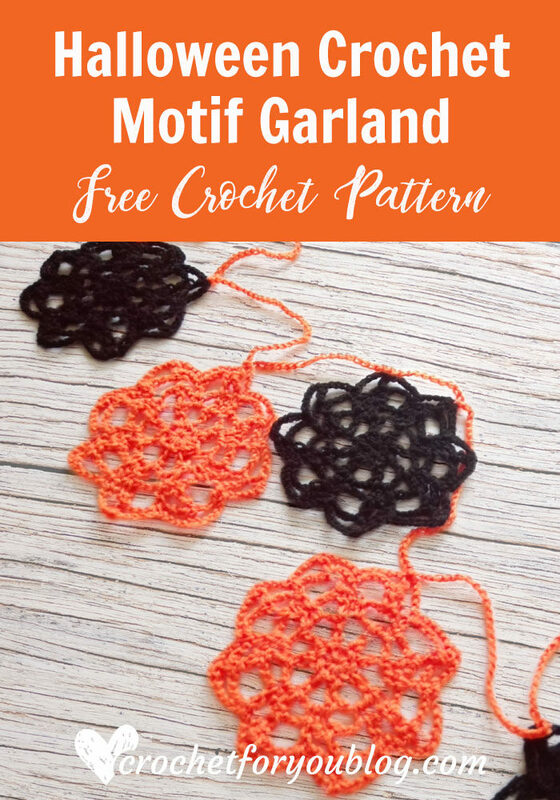 Because it’s looked so big and chunky with worsted weight yarns, I made another 2 eyepatches later with sport weight yarns and used them to make a final finished project. 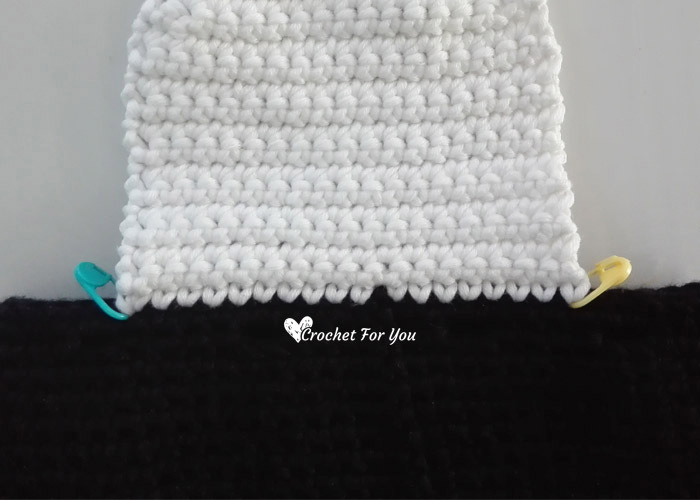 Drawstring: Cut a 20″ long cord and weave in and out of Round 34 every chain spaces. Sew triangle shape button between rows 25 and 26 in the middle of the front side of the bag. Thank you! 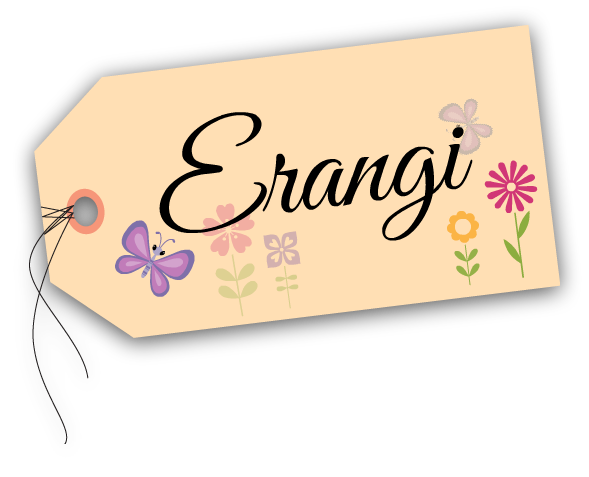 This would be a darling pajama bag, too! 1. What is the mc part of row 1 for. Hi Karen, Yes! you’re right. It was an error. 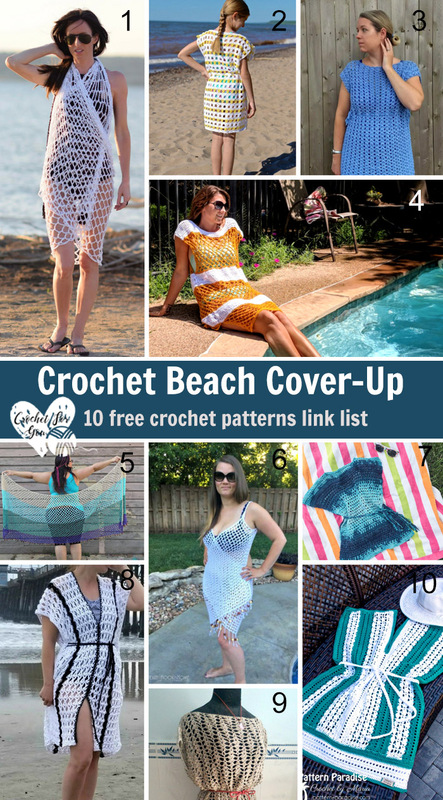 I fixed it and updated the pattern. 🙂 Thank you so much for letting me know about it.